We offer a broad range of devices including capacitors, resistors, filters, couplers, timing and circuit protection devices and connectors. AVX components can be found in many electronic devices and systems worldwide. 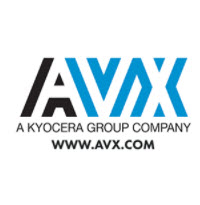 The AVX Corporation is publicly traded on the New York Stock Exchange (NYSE:AVX).